A catalogue dedicated to Eastern European artists from the 19th and 20th century. Many of the artists moved to France and went on to form part of the School of Paris where they built an artist's community in Montparnasse. The School of Paris consisted of a plethora of famous Avante-Garde movements of the time such as post-Impressionism, Orphism, Fauvism, Cubism, Dadaism and Surrealism. In addition, there are pieces included by other Eastern European artists, whom although were not part of the group, spent time in France at some point in their career. The catalogue features works by important artists such as Marc Chagall, Jules Pascin, Sonia Delaunay, Moïse Kisling, Chana Orloff, Leopold Survage and Ossip Zadkine. A selection of artworks ranging from £500-£3,000 from the gallery collection. A selection of Impressionist, Modern, Post-War and Contemporary works ranging from Camille Pissarro, Marc Chagall and Pablo Picasso, to Max Ernst, Otto Piene, Toshimitsu Imai, Gerhard Richter and many more major artists. A ​fine selection of Impressionist, Modern and Contemporary works ranging from Camille Pissarro, ​Claude Monet,​ Auguste Renoir and Marc Chagall, Jim Dine, ​Jean Dubuffet, Jean-Paul Riopelle and many more. A vibrant collection of Post-War & Contemporary works at Stern Pissarro Gallery ranging from Alexander Calder, Jean-Paul Riopelle and Victor Vasarely to Sam Francis, Jim Dine and A. R. Penck. Featuring over forty oil paintings and works on paper from various periods of Chagall’s extensive career, the exhibition will represent a unique opportunity for the public. On focus 24 preliminary works for the artist’s Verve publications of 1956 and 1960 – the culmination of a 30 years project illustrating the Hebrew Bible. Exhibited in a commercial gallery for the first time, these works have come from a Swiss family, who acquired them from Chagall's son, and after this exhibition it is unlikely these works will be ever shown together again. Also included will be the final study for Chagall’s Liberation, a painting from the triptych Resistance, Resurrection, Liberation that commemorates the twentieth anniversary of the October Revolution, and on permanent display at the Chagall museum in Nice. An exhibition of 72 works by Georges Manzana Pissarro, focussing on Manzana's depictions of subjects from the celebrated novel. His work from this formative period also included animal subjects, florid furniture, metalwork, glasswork, ceramic plates, printmaking and large-format tapestries. A retrospective monograph of Lélia Pissarro's oeuvre to date, going back to the first painting she sold at the age of four. In addition to her figurative works, it includes a series of fanciful shoes, subtle compositions in transparent colour washes and vibrant abstract paintings. Contains many colour images and texts. An exhibition consisting entirely of works on paper, mainly by Camille Pissarro but also featuring groups of works by each of his five sons. 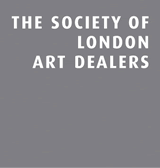 Paintings, watercolours, drawings and prints by Ludovic-Rodo during his many visits to London between 1906 and 1946, giving a unique view of the city and its suburbs. Includes a series of watercolours providing insight into life in London toward the end of World War I and just after. An exhibition of snow paintings, inspired by a photograph taken by Lélia's grandfather Paulémile Pissarro, of Yeyette Lebartard's house in the village where he lived and where Lélia grew up. 38 works illustrated, together with text written by Lélia Pissarro. An exhibition to commemorate the centenary of Camille Pissarro's death in 1903. 47 works illustrated, together with an essay and text specially written by Christopher Lloyd. An exhibition showing how different kinds of printmaking have become a tradition in the Pissarro family. Includes works by Camille, Lucien, Georges Manzana, Félix, Ludovic-Rodo, Paulémile, Orovida, H.Claude and Lélia. 155 prints illustrated with an essay, The Pissarro Family as Printmakers, specially written by Colin Harrison, former curator of the Pissarro family archive at the Ashmolean Museum, Oxford. An exhibition of H.Claude Pissarro's Post-Impressionist style oils and pastels. A collection of extraordinary drawings by Camille Pissarro's grandson whose training as a draughtsman is evident in the uniqueness of these works. 35 drawings, illustrated in black & white. A retrospective exhibition of Georges Manzana Pissarro's work including Post-Impressionist and exotic, Orientalist oils, works on paper, and a selection of drawings and prints. 56 works illustrated, together with a specially written essay by Janine Bailly-Herzberg. Text in English and French. An exhibition of contemporary work by H.Claude Pissarro under the pseudonym of Pomié, which he uses for this style of work. 20 works, illustrated in colour. An exhibition of works by Camille Pissarro and three generations of his direct descendants including Lucien, Georges Manzana, Félix, Ludovic-Rodo, Paulémile, Orovida, H.Claude and Lélia. 157 works illustrated, together with specially written essays on Camille Pissarro by Christopher Lloyd and Lucien Pissarro by Anne Thorold. 111 works illustrated, together with a specially written essay on Camille Pissarro by Richard R. Brettell. Text in English and Japanese. A retrospective exhibition of work by Camille Pissarro's youngest son, showing oil paintings and a selection of works on paper. A retrospective exhibition of the work of Camille Pissarro's fourth son, including Post-Impressionist pictures, Paris nightlife scenes and wonderful paintings of London landmarks. 34 works illustrated with text. An exhibition of oil paintings, works on paper and prints by four generations of the Pissarro family including Camille, Lucien, Georges Manzana, Félix, Ludovic-Rodo, Paulémile, Orovida, H.Claude and Lélia. 31 works illustrated, with an introduction specially written by Kristen Erickson (former curator of the Pissarro family archive at the Ashmolean Museum, Oxford) and an essay, The Pissarro Family and their Connections with England, by Nicholas Reed.